Shameless (R) is an American comedy-drama television series. This remake of the award-winning British series is set in Chicago’s Canaryville neighborhood on the South Side, although filmed in Los Angeles, with the exterior scenes filmed in Chicago. The series depicts the dysfunctional family of Frank Gallagher, a single father of six children. When Frank’s not at the bar spending what little money they have, he’s passed out on the floor. While he spends his days drunk or in search of misadventures, his kids learn to take care of themselves. They may not be like any family you know, but they make no apologies for being exactly who they are. There are several different ways to watch Shameless without cable. This TV show was aired on Showtime. To find which online TV streaming services have Shameless as part of their channel lineup you can read our streaming services review. You can use a streaming service to watch on-demand on live television. If the streaming service has Showtime available you will also gain access to the Showtime Anywhere App allowing you to watch Showtime shows on-demand anytime you want. It is also possible to buy on Apple iTunes, Google Play Movies, Vudu, Amazon Instant Video, PlayStation, Microsoft Store, FandangoNOW as a download or rent it on Microsoft Store online. 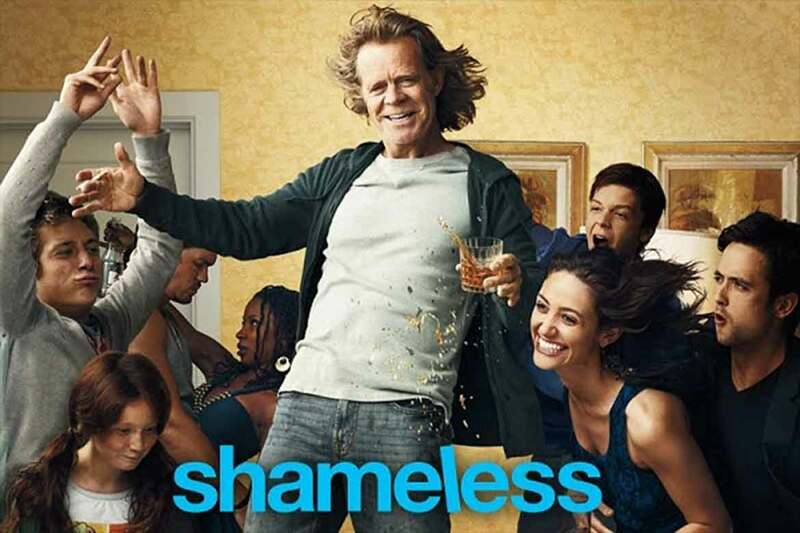 Below are our top choices to watch Shameless. Sling TV is a live TV streaming service. You can watch this show live as it airs or you can watch it on-demand. Showtime is available as an add-on for only $10/month extra. The base channel package which starts at $25/month. The good news is that Sling TV regularly offers free devices if you prepay for a few months. To learn more about this service read our Sling TV review. fuboTV is a live TV streaming service. fuboTV was specifically designed for sports cord cutters but is actually really great for network television series too. Showtime is available as an add-on for $10.99/month. The base channel package which starts at $39.99/month and also includes 84 channels. fuboTV has one of the most robust channel line-ups. To learn more about this service read our fuboTV review. Hulu is both a live TV streaming service and an on-demand streaming service. Subscribers can get access to the Showtime add-on for $8.99/month. You can either watch this show live as it airs or you can watch the most recent season and episodes on-demand. Plans begin at $7.99/month. To learn more about this service read our Hulu review. This TV show can be found on just about any streaming device on the market. You can stream on a tablet, smart phone, gaming console, desktop, or a streaming device such as a Roku, Apple TV, Chromecast, AirTV, Amazon Fire TV, and more. Here are some of the top devices that can be used to access one of the services that carry Shameless. To learn more click on the icons below or read our streaming device guide. Shameless can be streamed using a VPN. A VPN can unlock content from services such as Netflix. You can also use a VPN to bypass blackout restrictions and geo-blocking. A VPN will increase your online security and protect your online devices. This is very useful in the United States but is even more useful internationally. By using a VPN you can view this TV show while in another country. Not every VPN is created equally so we have chosen a few that we believe to be the best VPNs to pair with streaming services such as: ExpressVPN, NordVPN, and CyberGhost VPN.